This natural semi-precious Rose Quartz stone disc has an incredibly smooth, curved front with a flat reverse. 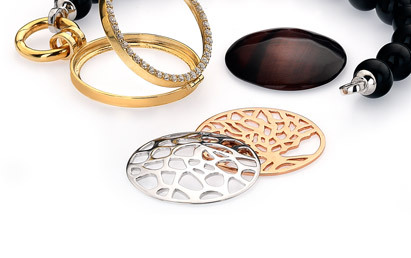 This disc is stylish, chic and lovable, yet still conventional for everyday wear. This 23mm natural stone disc fits perfectly in the medium size lockets. Available in 32mm.